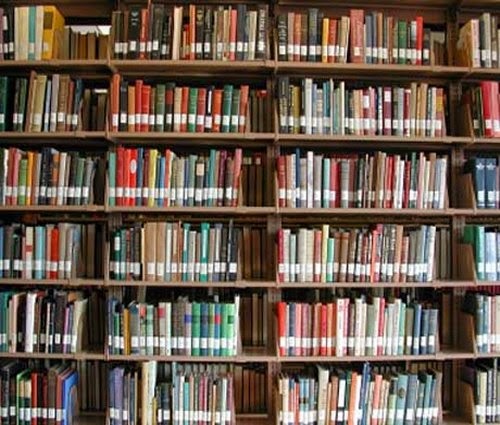 My World War II book library for wargaming consists of the following titles this is not an exhaustive library is just some of my favourites on the subject. 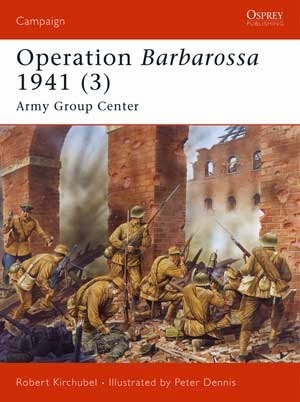 Operation Barbarossa, Germany’s surprise assault on the Soviet Union in June 1941, aimed at nothing less than the complete destruction of Communist Russia. This book focuses on Field Marshal von Rundstedt and Army Group South, tasked with the capture of the Ukraine and Crimea. Von Rundstedt’s 46 divisions and single Panzer Group faced fierce resistance from the best equipped, trained and commanded units in the Red Army, but ultimately succeeded in destroying the Soviet 6th and 12th Armies at Uman before inflicting a further 600,000 casualties at Kiev. Here, von Rundstedt’s five-month advance to Rostov is examined in detail. Of the German Army Groups that attacked Soviet Russia, Von Leeb's Army Group North, tasked with seizing the Baltic States and Leningrad, was the smallest and weakest. General Kuznetzov's Northwestern Front, however, was in an even weaker state. Despite brave counterattacks and defence by the Soviet forces, the Germans smashed through the Dvina Line, then the Stalin Line, flooded into Latvia and pressed on to encircle Leningrad. 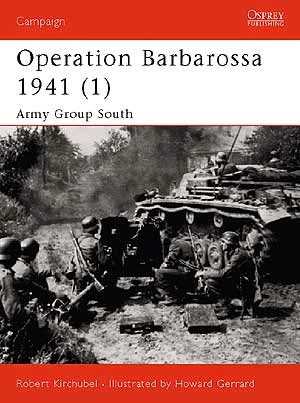 This book examines the German offensive and also the courageous Soviet attempts to halt the German spearhead, defending every possible line against overwhelming odds. 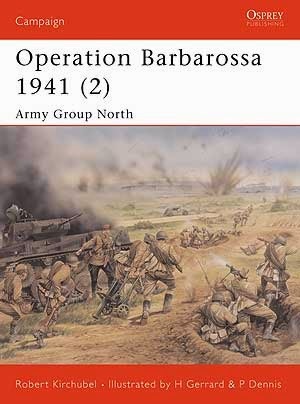 The final volume in the Barbarossa trilogy, this title complete the account of the strategic intricacies of the German campaign against Russia. Robert Kirchubel examines the causes behind the German failure, including the inability to resupply troops or provide reserves, as well as the lack of decent German winter uniforms and transport with dramatic contemporary photographs detailing the unforgiving battlefield conditions. Full-colour artwork, maps and bird's-eye-views illustrate the campaign in detail, revealing how, despite lapses and flaws in Soviet defences, the Red Army was able to capitalise on every German weakness. Hitler’s protracted siege of Leningrad resulted in one of the most brutal campaigns on the Eastern Front during World War II. The German Army Group North was able to isolate the city and its garrison for a period of 900 days, during which an estimated 1.5 million Soviets died from combat, disease and starvation. For over two years, German forces pounded the city with artillery and air assaults while the Soviets made repeated efforts on the frozen swamplands of the Volkhov Front to break through. Finally, in January 1944, the Soviets were able to break Army Group North’s front and relieve Leningrad. 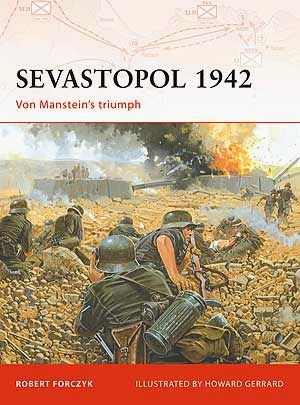 While most histories of the siege of Leningrad focus on the plight of the starving civil population, this refreshing title instead examines the strength of the garrison’s defences – which ultimately prevented the Germans from capturing the city – and the growing sophistication of Soviet offencive tactics. 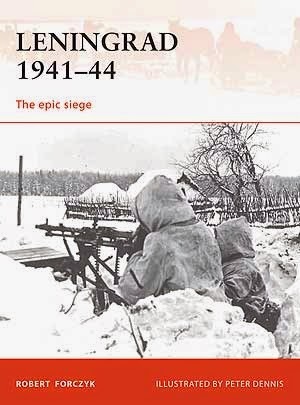 Dr Forczyk also provides an assessment of how weather and terrain factors shaped the campaign in this superb addition to the history of the Eastern Front. 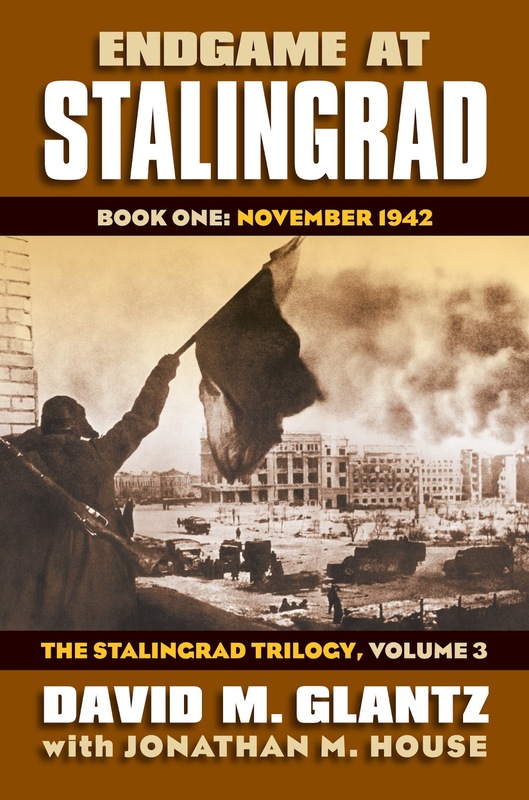 One of the most monumental and widely discussed battles in the history of World War II, Stalingrad was Hitler's first major defeat on the Eastern Front, and acted as a catalyst for his eventual downfall. Providing a detailed breakdown of the armies on both sides and discussing the merits of the commanders and the ways in which these influenced the battle, Peter Antill questions why the Germans allowed themselves to be diverted from their main objective and concentrate such large resources on a secondary target. The bird's-eye view illustrations and maps that feature in this book help to unravel the detail of unit directions, priorities and deployments, and the tactical failures that led to the day-by-day war of attrition that lasted for nearly five months. After failing to finish off the German Army in the 1941/42 Winter Counteroffensive Stalin directed the Red Army to conduct a powerful blow in one sector of the Eastern Front in order to disrupt German plans. The sector chosen was Kharkov. Under Marshal Semyon Timoshenko, the Stavka’s remaining reserves were assembled and prepared to conduct a breakthrough attack intended to encircle the German Sixth Army near Kharkov. However, Stalin was unaware that the Germans were planning their own riposte at Kharkov, known as Operation Fredericus. When Timoshenko began his offensive in May 1942, he did not realize the limitations of his own forces or the agility of the Germans to recover from setbacks, all of which contributed to one of the Red Army greatest defeats of World War II. 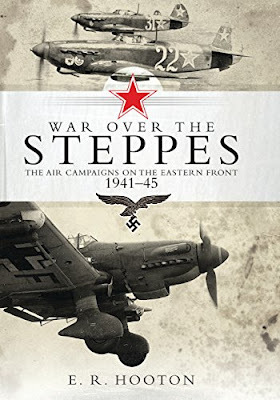 This volume will pay particular attention to intelligence and logistics issues, as well as how this campaign served as a prelude to the battle of Stalingrad. It will also focus on the nascent development of the Red Army’s tank corps and ‘deep battle’ tactics, as well as the revival of the German Panzertruppen after Barbarossa. The fighting around the town of Demyansk was one of the longest encirclement battles on the Eastern Front during World War II, stretching from February 1942 to February 1943. Originally, the German 16. Armee occupied Demyansk in the autumn of 1941 because it was key terrain that would be used as a springboard for an eventual offensive into the Valdai Hills. Instead, the Soviet winter counteroffensive in February 1942 encircled the German II Armeekorps and other units, inside the Demyansk Pocket. Yet despite severe pounding from five Soviet armies, the embattled German troops held the pocket and the Luftwaffe organized a major aerial resupply effort to sustain the defenders. For the first time in military history, an army was supplied entirely by air. In February 1943, Marshal Timoshenko was ordered to launch an offensive to cut off the base of the salient and annihilate the 12 divisions. At the same time, Hitler finally came to his senses after the Stalingrad debacle and authorised the 16. Armee to withdraw from the pocket. This volume will conclude with the drama of a German Army-sized withdrawal under fire in winter, under attack from three sides. 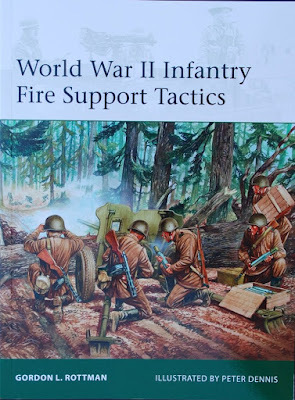 This book was originally designed as an easy reference and basic handbook on the uniforms, personal equipment, and weapons of twenty four nations that took part in World War 2. Since its publication in 1973 it has appeared in British, American, German, and Dutch editions, and has firmly established itself internationally as the standard work on the subject. The text and illustrations concentrate on recreating the officers and men as they actually appeared in action and not, as in so many uniform books, as artists imagine they looked. For this reason the references for every one of Malcolm McGregors 208 figure drawings have been taken from contemporary photographs. But these are not mechanical copies, but painstakingly drawn works of art. Since most of the photographs taken during World War 2 are in black and white great care has been taken to check colours against surviving examples of clothing and equipment in both national and private collections in Great Britain and abroad. Apart from writing books on military uniform, Andrew Mollo has worked as an historical consultant on such films as Dr Zhivago, Night of the Generals, and more recently The Eagles have Landed. He also co-directed two highly acclaimed feature Films, It Happened Here and Winstanley. Malcolm McGregor is now widely acclaimed for his military colour paintings in both books and magazines a versatile artist, his other special enthusiasm is natural history. 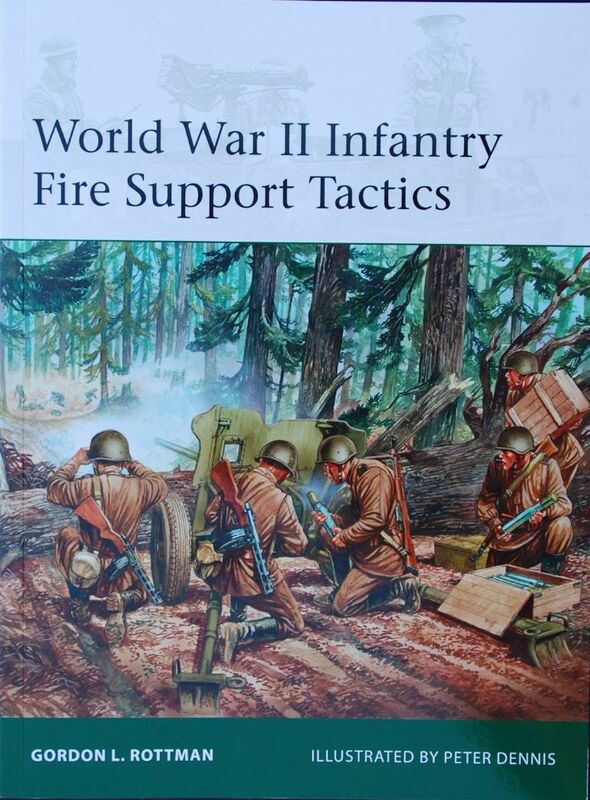 This book is a companion to the very successful Army Uniforms of World War 2 by the same author and artist team. 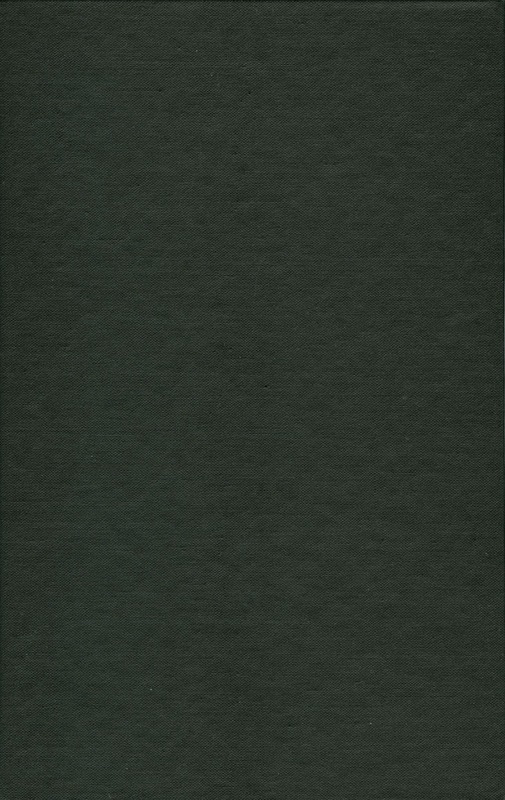 It is the first book to cover the naval and air force uniforms of the main belligerents and their allies during World War 2. As in the earlier volume, the marvellously accurate illustrations depict officers and men as they actually appeared in the great naval engagements and air battles of this period. Many of the illustrations are actual portraits (based on contemporary photographs) of the ordinary sailors, marines and airmen and also of the senior commanders, who will be instantly recognisable. Andrew Mollo has established an international reputation for his books on military subjects, and is a member of the well known Mollo family, which has specialised in military history and researched for films, books and other media. Malcom McGregor has recently specialised in military matters and this is his fourth book for the Blandford imprint. Between June 1941 and May 1945 the largest conflict the world had ever seen was fought across Eastern Europe, culminating in the absolute defeat not only of a new ideology, but of an entire nation. This, The Long Drive East, is the first of two volumes and looks at the German advance from the Soviet frontier, their crushing victories at Minsk, Smolensk and Kiev, and subsequent drive for Moscow. However, in the depths of the Russian winter, the Soviet commanders marshaled their meagre reserves before their capital and inflicted a crippling counter-blow on the Ostheer, pushing the Germans back hundreds of miles. With the onset of the campaigning weather of spring 1942, the Stavka planned to finish the Germans off, launching a cmshing blow in the Ukraine. Devastatingly, the Soviet offencive upon Kharkov ended in complete and total failure and heralded the next German drive east, the long march to the Volga, and a new kind of warfare. The ruins of Stalingrad the Ostheer was bled white, Paulus' 6th Army battling to overcome Chuikov's redoubtable 62nd Army. Amid the carnage though, the emerging Marshals of the Soviet Union had developed a plan to destroy the Germans and once again begin their drive west, a drive that would ultimately force the Germans out of Russia and into absolute defeat. Writing in a clear chronological style, Brian Taylor covers the main areas of activity on the extensive combat front. He includes details of the armies involved, their strengths, orders of battle and casualties which serve to give a complete picture of the scale of the conflict. Studying each of the combatants and their allies in equal detail, the Barbarossa to Berlin series gives the reader a unique insight into the sheer scale of this titanic struggle. From October 1944 to April 1945 the Red Army fought a bloody campaign to destroy the German Army in East Prussia, and capture the capital of the province, Konigsberg. This book follows the course of one of history's forgotten battles, the fall of the city of Konigsberg. 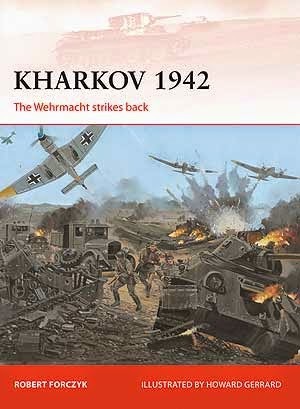 It covers in detail the desperate battles the Germans fought to hold off the Red Army, from the Soviet Memel and Gumbinnen Offensives of October 1944, which saw Russian soldiers break into the frontier districts of East Prussia, to the final stand of the German defenders of Konigsberg in April 1945. The German generals, Erhard Raus of the Third Panzer Army and Otto Lasch of Fortress Konigsberg were faced by enemies both external and internal. Their struggle to defend the city after the great Soviet offencive of January 1945 was hampered by the activities of the malevolent Gauleiter Erich Koch, and the obstinate refusal of Hitler to countenance any operation flexibility. Drawing on primary sources, The Battle of Konigsberg recounts the terrible story of these campaigns both German and Soviet perspectives. Referring to the records of the commanders who fought these battles, it provides a unique in-depth study of the forgotten last stand, of the fall of Fortress Konigsberg. The confrontation between German and Soviet forces at Stalingrad was a titanic clash of armies on an unprecedented scale-a campaign that was both a turning point in World War II and a lasting symbol of that war's power and devastation. 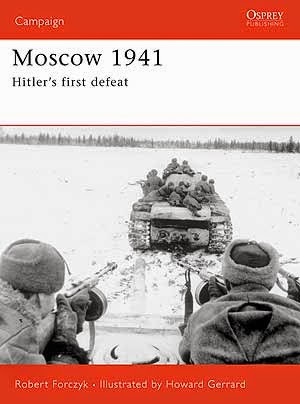 Yet despite the attention lavished on this epic battle by historians, much about it has been greatly misunderstood or hidden from view-as David Glantz, the world's foremost authority on the Red Army in World War II, now shows. 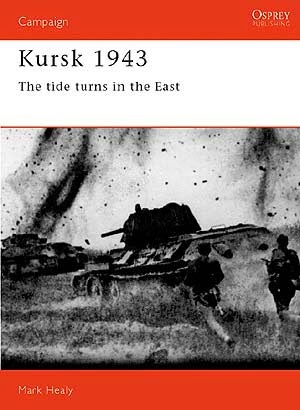 This first volume in Glantz's masterly trilogy draws on previously unseen or neglected sources to provide the definitive account of the opening phase of this iconic Eastern Front campaign. Glantz has combed daily official records from both sides-including the Red Army General Staff, the People's Commissariat of Internal Affairs, the German Sixth Army, and the Soviet 62nd Army-to produce a work of unparalleled detail and fresh interpretations. Jonathan House, an authority on twentieth-century warfare, adds further insight and context. Hitler's original objective was not Stalingrad but the Caucasus oilfields to the south of the city. So he divided his Army Group South into two parts-one to secure the city on his flank, one to capture the oilfields. 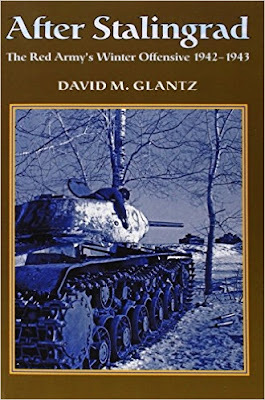 Glantz reveals for the first time how Stalin, in response, demanded that the Red Army stand and fight rather than withdraw, leading to the numerous little-known combat engagements that seriously eroded the Wehrmacht's strength before it even reached Stalingrad. He shows that, although advancing German forces essentially destroyed the armies of the Soviet Southwestern and Southern Fronts, the Soviets resisted the German advance much more vigorously than has been thought through constant counterattacks, ultimately halting the German offensive at the gates of Stalingrad. This fresh, eye-opening account and the subsequent companion volumes-on the actual battle for the city itself and the successful Soviet counteroffensive that followed-will dramatically revise and expand our understanding of what remains a military campaign for the ages. The German offensive on Stalingrad was originally intended to secure the Wehrmacht's flanks, but it stalled dramatically in the face of Stalin's order: "Not a Step Back!" The Soviets' resulting tenacious defense of the city led to urban warfare for which the Germans were totally unprepared, depriving them of their accustomed maneuverability, overwhelming artillery fire, and air support-and setting the stage for debacle. Armageddon in Stalingrad continues David Glantz and Jonathan House's bold new look at this most iconic military campaign of the Eastern Front and Hitler's first great strategic defeat. While the first volume in their trilogy described battles that took the German army to the gates of Stalingrad, this next one focuses on the inferno of combat that decimated the city itself. Previous accounts of the battle are far less accurate, having relied on Soviet military memoirs plagued by error and cloaked in secrecy. Glantz and House have plumbed previously unexploited sources-including the archives of the People's Commissariat of Internal Affairs (NKVD) and the records of the Soviet 62nd and German Sixth Armies-to provide unprecedented detail and fresh interpretations of this apocalyptic campaign. They allow the authors to reconstruct the fighting hour by hour, street by street, and even building by building and reveal how Soviet defenders established killing zones throughout the city and repeatedly ambushed German spearheads. 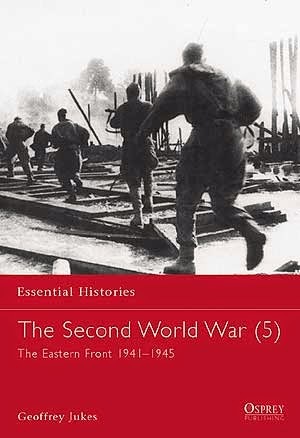 The authors set these accounts of action within the contexts of decisions made by Hitler and Stalin, their high commands, and generals on the ground and of the larger war on the Eastern Front. They show the Germans weaker than has been supposed, losing what had become a war of attrition that forced them to employ fewer and greener troops to make up for earlier losses and to conduct war on an ever-lengthening logistics line. 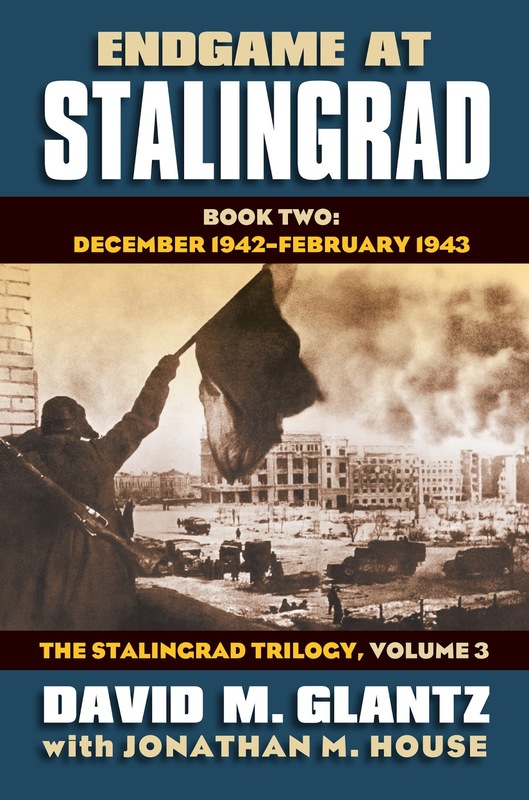 Written with the narrative force of a great war novel, this new volume supersedes all previous accounts and forms the centerpiece of the Stalingrad Trilogy, with the upcoming final volume focusing on the Red Army's counteroffensive. The campaign intended to secure the Wehrmacht's flanks had proven one front too many for the German Army. And now the offensive at Stalingrad, the epic clash that marked Germany's failure on the Eastern Front, was entering its grim final phase. In Book One of the Third Volume of his acclaimed Stalingrad Trilogy, David Glantz offers the definitive account--the ground truth to counter a half-century's worth of myth and misinformation--of the beginning of the end of one of the most infamous battles of the Second World War, and one of the most costly in lives and treasure in the annals of history. When Volume Two left off, Germany's vaunted Sixth Army, already deflected from its original goal--the Caucasus oil fields--had been drawn into a desperate war of attrition within the ravaged city of Stalingrad. In Volume Three, Book One, we see the ultimate consequences of the Germans' overreach and the gathering force of the Red Army's massive manpower and increasingly sophisticated command. After failing repeatedly to find and exploit the weaknesses in Axis defenses, Stalin and the Stavka (High Command) finally seized their chance in mid-November of 1942 by launching a bold and devastating counteroffensive, Operation Uranus. Glantz draws a detailed and vivid account of how, in Operation Uranus, the Red Army's three fronts defeated and largely destroyed two Romanian armies and encircled the German Sixth Army and half of the German Fourth Panzer Army in the Stalingrad pocket--turning the Germans' world on its head. 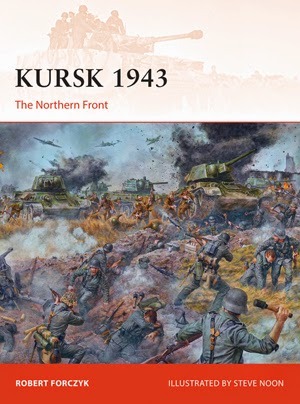 Like its predecessor volumes, this one makes extensive use of sources previously out of reach or presumed lost, such as reports from the Sixth Army's combat journal and newly released Soviet and Russian records. 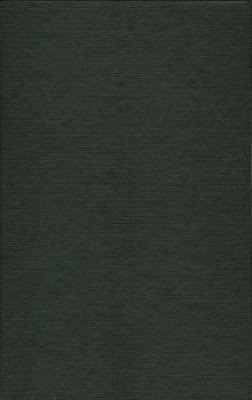 These materials (many cited at length or printed in their entirety in a companion volume) lend themselves to a strikingly new interpretation of the campaign's planning and execution on both sides--a version of events that once and for all gets at the ground truth of this historic confrontation. 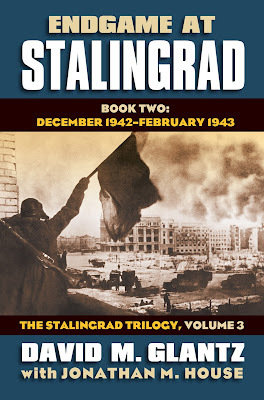 In Book Two of the third volume of his magisterial Stalingrad Trilogy, David Glantz continues and concludes his definitive history. Book Two finds the Red Army's counteroffensive, Operation Uranus, well underway. 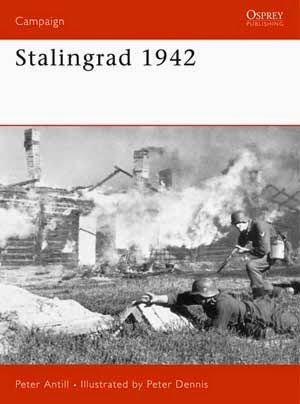 Drawing on materials previously unavailable or believed lost, Glantz gives a closely observed account of the final ten weeks of Germany's ill-fated Stalingrad campaign. In short order, the Red Army parried and then defeated two German attempts to rescue the Sixth Army, crushed the Italian Eighth and Hungarian Second Armies, severely damaged the German Fourth Panzer and Second Armies, and finally destroyed the German Sixth Army in the ruins of Stalingrad. With well over half-a-million soldiers torn from its order of battle, Hitler's Axis could only watch in horror as its status abruptly changed from victor to vanquished. 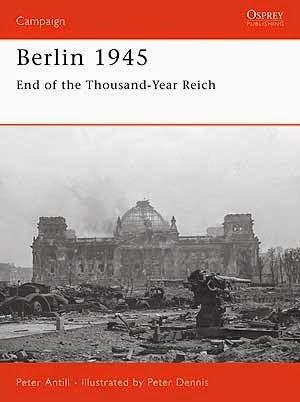 This book completes a vivid and detailed picture of the Axis defeat that would prove decisive. This concluding chapter, relating events even more steeped in myth than those that came before, is especially bracing as it takes on controversial questions about why Operation Uranus succeeded and the German relief attempts failed, whether the Sixth Army could have escaped encirclement or been rescued, and who, finally was most responsible for its ultimate defeat. The answers Glantz provides, embedded in a fully-realized account of the endgame at Stalingrad, make this book the last word on one of history's epic clashes. 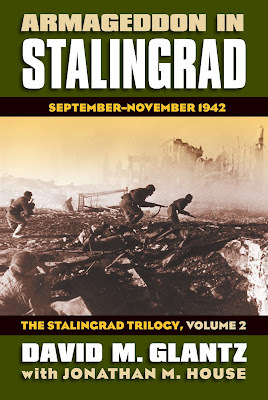 In Endgame at Stalingrad, the final volume of his acclaimed Stalingrad Trilogy, David Glantz completes his definitive account of one of World War II's most infamous confrontations, the campaign that marked Germany's failure on the Eastern Front and proved to be a turning point in the war. 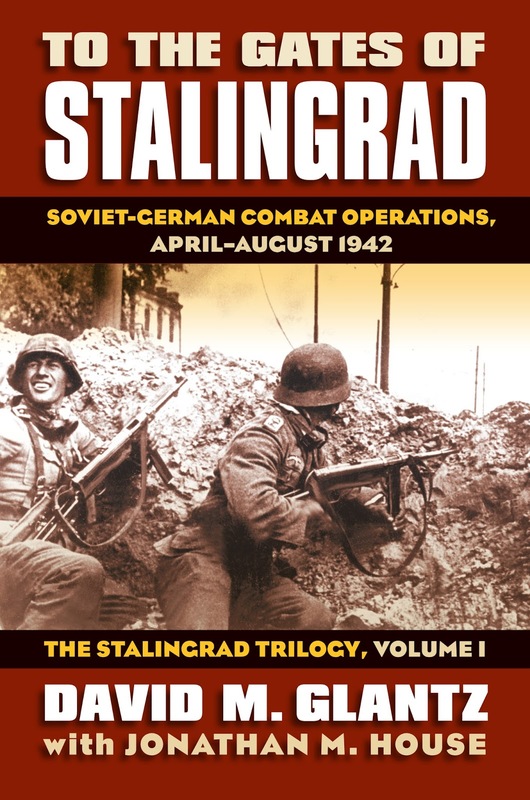 In documenting the last days of the Stalingrad campaign, in particular the Red Army's counteroffensive known at Operation Uranus, Glantz takes on a plethora of myths and controversial questions surrounding these events, in particular, questions about why Operation Uranus succeeded and the German relief attempts failed, whether the Sixth Army could have escaped encirclement or been rescued, and who, finally was most responsible for its ultimate defeat. In addition to a wide variety of traditional sources, this volume makes use of two major categories of documentary materials hitherto unavailable to researchers. The first consists of extensive records from the combat journal of the German Sixth Army, which had been largely missing since the war's end and were only recently rediscovered and published. The second is a vast amount of newly released Soviet and Russian archival material including excerpts from the Red Army General Staff's daily operational summaries; a wide variety of Stavka (High Command), People's Commissariat of Defense (NKO), and Red Army General Staff orders and directives; and the daily records of the Soviet 62nd Army and its subordinate divisions and brigades for most of the time fighting was underway in Stalingrad proper. Because of the persistent controversy and mythology characterizing this period, many of these documents are included verbatim in English translation in this companion volume, providing concrete evidence in support of the conclusions put forward in Volume Three. 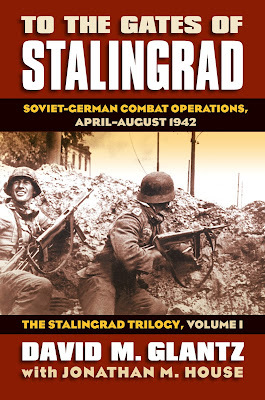 As such, the Companion contributes substantially to this final volume's unprecedented detail and fresh perspectives, interpretations, and evaluations of the later stages of the Stalingrad campaign. In the wake of the Red Army's signal victory at Stalingrad, which began when its surprise counteroffensive encircled German Sixth Army in Stalingrad region in mid-November 1942 and ended when its forces liquidated beleaguered Sixth Army in early February 1943, the Soviet High Command (Stavka) expanded its counteroffensive into a full-fledged winter offensive which nearly collapsed German defenses in southern Russia. History has recorded the many dramatic triumphs the Red Army achieved during the initial phases of this winter offensive, culminating with its rapid advance deep into the Donbas and Kharkov regions in February 1943. It has also described the subsequent feats of German Field Marshall Erich von Manstein, who, tasked by his Führer, Adolph Hitler, to restore German fortunes in southern Russia, skillfully orchestrated a counterstroke of his own that indeed restored stability to Germany's defenses in the East and paved the way for the climactic battle of Kursk in July 1943. As is so often the case, however, history has misled its audience for several cogent reasons. On the one hand, the Soviet Union and its historians, anxious to conceal the ambitiousness of its offensive and, at the same time, preserve the reputations of the Red Army and its senior commanders, willfully avoided describing the offensive's true scope and the many failures and shortcomings the Red Army experienced during its conduct. On the other hand, German and other Western historians, frequently basing their accounts on inaccurate Soviet sources, focused only on the most dramatic aspects of the offensive, ignoring much of their adversary's actions and, not coincidentally, missing his intent. This volume, and the series that provides it context, restores the lost and concealed to the historical record. Exploiting newly-released Russian archival materials, it reveals the unbounded ambitions that shaped the Stavka winter offensive and the full scope and scale of the Red Army's many offensive operations. For example, it reflects on recently-rediscovered Operation Mars, Marshal Zhukov's companion-piece to the more famous Operation Uranus at Stalingrad. It then reexamines the Red Army's dramatic offensive into the Donbas and Kharkov region during February, clearly demonstrating that this offensive was indeed conducted by three rather than two Red Army fronts. Likewise, it describes how the Stavka expanded the scale of its offensive in mid-February 1943 by ordering major strategic efforts, hitherto ignored, by multiple Red Army fronts along the Western (Orel-Smolensk) axis and, in Zhukov's forgotten operation Polar Star, along the Northwestern (Demyansk-Leningrad) axis as well. Finally, by restoring the full scope of these failed or partially failed Red Army offensives to history, this volume also reassesses the impact of Manstein's dramatic counter strokes in the Donbas and Kharkov regions, concluding that their impact was equivalent to that of a full-fledged strategic counteroffensive.